Quality Caterpillar CG Series Gas Generator Sets manufacturers & exporter - buy Caterpillar CG Series Gas Generator Sets from China manufacturer. Caterpillar CG series gas generator sets are made by MWM company in Mannheim, Germany.MWM is an advanced manufacturer of gas and diesel generator sets. 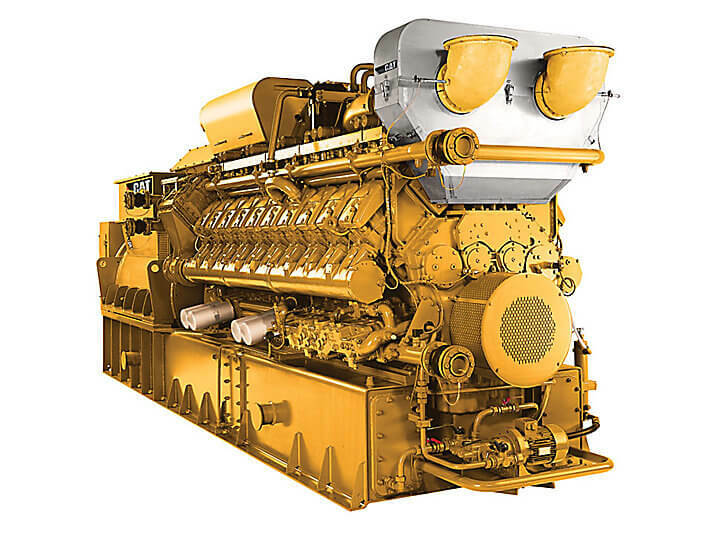 As a world leader in providing efficient clean energy and energy solutions, it has a long history of engine production over 140 years.The Caterpillar CG series gas generator sets have an efficient optimized Miller cycle and a steady isolated island operation mode with wide application range and high electric efficiency. Caterpillar CG series gas generator sets is able to provide up to 44.6% electricity efficiency, meanwhile both recycling more heat and reducing carbon emissions are realized. The consumption rate of lublicant oil of Caterpillar gas generator sets decline to 30% to 50% comparing with other brands.And then help you save more money. Caterpillar CG series gas generator sets need only half space comparing with other similar systems, it means you can reduce your cost of installation. With the prefired spark plug, non particles combustion and longer maintenance interval are achieved and then annual application availability increases finally. The entire system is controlled by the Caterpillar Comprehensive electronic management system including engine, heat recycling module, exhaust aftertreatment and fuel processing system and other auxiliary equipment to achieve the overall system monitoring. MWM gas mixing technology and comprehensive electronic management system can be applied to all kinds of gas.